This draft uncoated smooth white 80gsm inkjet plotter paper is perfect for use with the Canon TM-200 & TM-205 24" A1 printer to produce high quality monochrome prints and line colour work. This is a good quality printing paper offering you extremely good value for money. It is ideal for plotting CAD drawings, plans, design layouts and technical documents. This paper has been universally tested for use with all mainstream wide format dye and pigment inkjet printers including HP, Oce and Canon. The roll width of this paper is 610mm. If you are printing to the exact A1 size we especially recommend the 594mm roll width as it saves trimming time and reduces paper wastage. We also supply 594mm roll width in our 90gsm plotting paper if you would prefer a slightly heavier weight. Canon TM-200 & TM-205 CAD Uncoated Inkjet Plotter Paper 80gsm. A smooth white standard weight uncoated report grade paper suitable for monochrome printing and colour line work with sharp line definition. 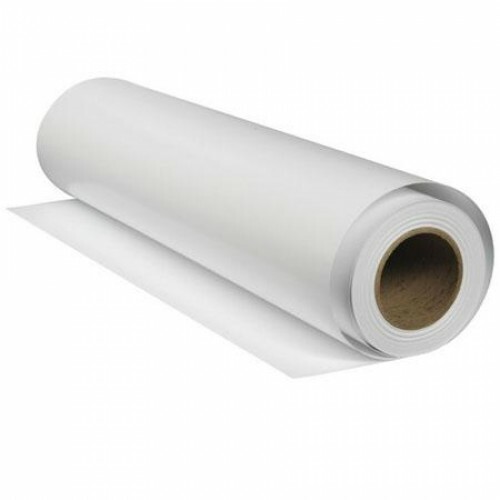 This is a value for money paper making it ideal for check plots and suitable for use with any wide format dye or pigment inkjet printer including HP, Canon, Oce, Encad and Xerox. This paper is available ex stock from our warehouse for next day delivery.